This is a Jointed storybook animal. It is dated 1929 and we acquired it in 1994. Its medium is printed cardboard. It is a part of the Drawings, Prints, and Graphic Design department. 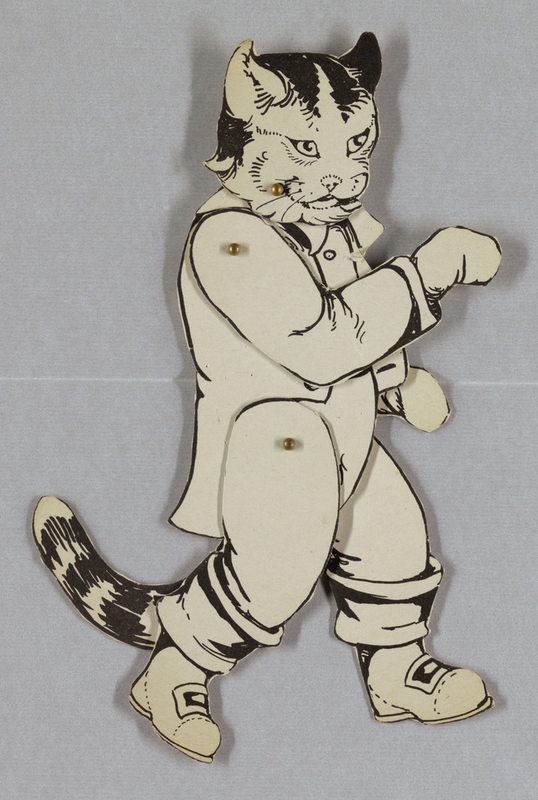 This object was featured in our Object of the Day series in a post titled A Paper Menagerie. This object was donated by Elaine Evans Dee. It is credited Gift of Elaine Evans Dee.